1648350007 1648350307 1648350507. Air is not coming out of the vents when you turn AC or heat on. Heater fan operates at only one speed instead of multiple speeds. You may need to replace the Heater Blower Motor if your heater blower motor has the following symptoms. 6Q1907521,6Q1907521A, 6Q1907521B. 2000-2005 per Audi A2 8Z0 1.2 TDI / 1.4 / 1.4 TDI / 1.6 FSI. 2002- per Seat Ibiza 6L1 1.2 / 1.2 12V / 1.4 16V / 1.4 TDI / 1.6 / 1.6 16V / 1.8 T Cupra R / 1.8 T FR / 1.9 SDI / 1.9 TDI / 1.9 TDI Cupra R.
6Q1907521,6Q1907521A, 6Q1907521B. 2007- 2015 per Skoda Fabia 5J 1.2 / 1.2 TSI / 1.4 / 1.4 TDI / 1.6 / 1.6 TDI. 2002-2009 per Seat Cordoba 6L2 1.2 / 1.2 12V / 1.4 16V / 1.4 TDI / 1.6 / 1.6 16V / 1.9 SDI / 1.9 TDI / 2.0. V30-03-1255, V30031255. Air is not coming out of the vents when you turn AC or heat on. Heater fan operates at only one speed instead of multiple speeds. You may need to replace the Heater Blower Motor if your heater blower motor has the following symptoms. Per BMW X6 E71, E72. You may need to replace the Heater Blower Motor if your heater blower motor has the following symptoms Quantity: 1 x Heater Blower. Per BMW X5 E70. Heater fan operates at only one speed instead of multiple speeds. 40175014 236 0019, 9402253, 40175. Cosa devo fare se il mio prodotto è difettoso?. Se andare bene con il mio viecolo?. Mi dispiace, no. A211 830 09 08 A2118300408 A2118300908. 211 830 04 08 211 830 0408 211 830 09 08. Reference OEM number. 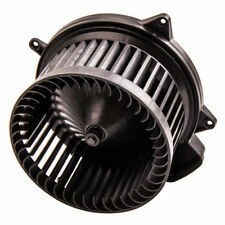 Heating Blower Motor Fan for AUDI A6 C6 (04-11) & for SKODA OCTAVIA 2.0 FSI 4F0820020. 4F0815020, 4F0820020, 4F0820020A. You may need to replace the Heater Blower Motor if your heater blower motor has the following symptoms. A1648350507, A1648350307, A1648350007. Se andare bene con il mio viecolo?. Cosa devo fare se il mio prodotto è difettoso?. Mi dispiace, no. Accessori sempre corretti. Air is not coming out of the vents when you turn AC or heat on. 95557234201 ; 7L0 820 021 ; 7L0 820 021 L ;. For AUDI 80 Avant (8C5, B4). For AUDI 80 (8C2, B4). For AUDI CABRIOLET (8G7, B4). For AUDI A4 Avant (8D5, B5). For AUDI A4 (8D2, B5). For AUDI COUPE (89, 8B). 8A1820021, 8A 182 0021, for Audi: 8A1820021. For Ford Fiesta V JH, JD：. for Ford Fusion JU：. for Ford Fiesta V Van：. Cosa devo fare se il mio prodotto è difettoso?. Se andare bene con il mio viecolo?. 2S6H18456AC, 2S6 H18 45 6AC. 1252926, 715265. 6Q1907521,6Q1907521A, 6Q1907521B. 2002-2009 per Seat Cordoba 6L2 1.2 / 1.2 12V / 1.4 16V / 1.4 TDI / 1.6 / 1.6 16V / 1.9 SDI / 1.9 TDI / 2.0. 2000-2005 per Audi A2 8Z0 1.2 TDI / 1.4 / 1.4 TDI / 1.6 FSI. CLS 280, CLS 320 CDI, CLS 350, CLS 500, CLS 55 AMG, CLS 63 AMG. Mi dispiace, no. Se andare bene con il mio viecolo?. Air is not coming out of the vents when you turn AC or heat on. 1K1819015 1K1819015C 1K1819015E. 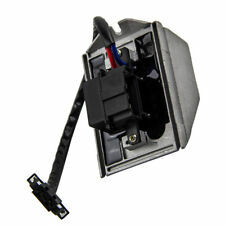 Ventilatore Motore Ventola Motore per For VW Volkswagen Jetta Passat Golf CC Eos. Quantity: 1 x Heater Blower Motor. For VW EOS 1F7, 1F8 2006-2015. For VW Jetta III 1K2 2005-2010. 2208203142 A2208203142. Quantity: 1 x heater blower motor. Warranty: 2 years. Power: 440 W.
CLS 280, CLS 320 CDI, CLS 350, CLS 500, CLS 55 AMG, CLS 63 AMG. Se andare bene con il mio viecolo?. Air is not coming out of the vents when you turn AC or heat on. Heater fan operates at only one speed instead of multiple speeds. For Audi A3 Cabriolet 8P7 2008-2012. For Audi A3 8P1 2003-2012. For Audi A3 Sportback 8PA 2004-2013. For VW Golf VI Cabriolet 517 2011-2018. Coilover Ammortizzatori Sospensione Kit per Audi A3 per VW Golf Mk4 A4 1J Struts. 698513, 7701048387. Reference OEM number. 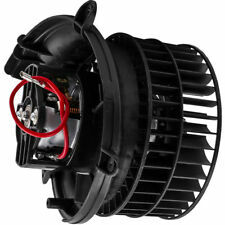 New Front Blower Motor for Chrysler Town Country Dodge Grand Caravan 4885475AC. Part Number : 4885475AB 4885475AC,CH3126107, 615-00611, 700070. 2004-08 per Chrysler Pacifica Heater Blower Motor with Fan Cage. 272258H31C, 27225-8H31C. Heater Blower Motor LHD for Nissan Maxima QX II ·A33 1999-2003 Left 27200-9H600. - This item is for the LHD Left Hand Drive Models Only. for Nissan X-Trail T30 (2001-2007) Left Hand Drive Models. 2018200842, 2018204542, 2018300308. You may need to replace the Heater Blower Motor if your heater blower motor has the following symptoms Quantity: 1 x Heater Blower. Se andare bene con il mio viecolo?. 64118390208, 6411 8 390 208. for BMW 3er E36 for BMW 3er Cabriolet E36 for BMW 3er Cabriolet E36 M3 for BMW 3er Compact E36 for BMW 3er Coupe E36 for BMW 3er Coupe E36 M3 for BMW 3er Touring E36. A43001400, 77366112, DRS07001, 6441CE, 6441. per Fiat Panda 2012-2017. per Fiat Linea 2007-2016. per Fiat Doblo 2010-2017. per Fiat 500 2007-2017. per Fiat Scudo MK2 2007.4-2016. per Fiat Abarth 500C 595C 695C 1.4L Convertible Hatchback. 2007- 2015 per Skoda Fabia 5J 1.2 / 1.2 TSI / 1.4 / 1.4 TDI / 1.6 / 1.6 TDI. 2002-2009 per Seat Cordoba 6L2 1.2 / 1.2 12V / 1.4 16V / 1.4 TDI / 1.6 / 1.6 16V / 1.9 SDI / 1.9 TDI / 2.0. 2006-per Skoda Roomster 5J 1.2 / 1.2 TSI / 1.4 / 1.4 TDI / 1.6 / 1.6 TDI / 1.9 TDI. 4F0 815 020, 4F0 820 020, 4F0 820 020 A. 4F0 815 020 D, 4F0 815 020 F. Heating Blower Motor Fan for AUDI A6 C6 (04-11) & for SKODA OCTAVIA 2.0 FSI 4F0820020. forAUDI A6 (4F2, C6). forAUDI A6 Avant (4F5, C6). Per BMW X6 E71, E72. per BMW X5 (E70). Se andare bene con il mio viecolo?. 64 11 9 229 658, 64119229658. Reference OEM number Air is not coming out of the vents when you turn AC or heat on. Heater fan operates at only one speed instead of multiple speeds. 4F0815020, 4F0820020, 4F0820020A. 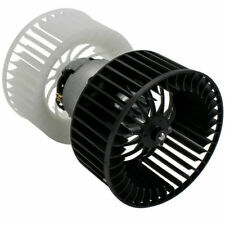 Heating Blower Motor Fan for AUDI A6 C6 (04-11) & for SKODA OCTAVIA 2.0 FSI 4F0820020. forAUDI A6 (4F2, C6). forAUDI A6 Avant (4F5, C6). Quantity: 1 x Blower Motor(as shown in the picture). For Maybach Maybach 240_ [2002-2012] Saloon Saloon 5.5 V12 57/62 5513ccm 551HP 405KW (Petrol) 2002-2012. For Maybach Maybach 240_ [2002-2012] Saloon Saloon 6.0 V12 57S 5980ccm 612HP 450KW (Petrol) 2005-2012. Mi dispiace, no. Se andare bene con il mio viecolo?. Reference OEM number. 1K1819015 1K1819015C 1K1819015E. For VW EOS 1F7, 1F8 2006-2015. For VW Jetta III 1K2 2005-2010. For VW Caddy III Kasten 2KA, 2KH, 2CA, 2CH 2004-2010. For VW Golf Plus 5M1, 521 2005-2013. For VW Caddy III Kombi 2KB, 2KJ, 2CB, 2CJ 2004-2010.